The 2015 Vince Gill Tour takes them though theaters of America. They do not carry a main system and rely on house systems. Johnson carries a Sound Image provided VUE front fill system to augment and compliment the house systems for full, even coverage. At front of house, Johnson uses VUE i-6a (active) compact full-range speakers as nearfield monitors, with one on each corner of the console doghouse. 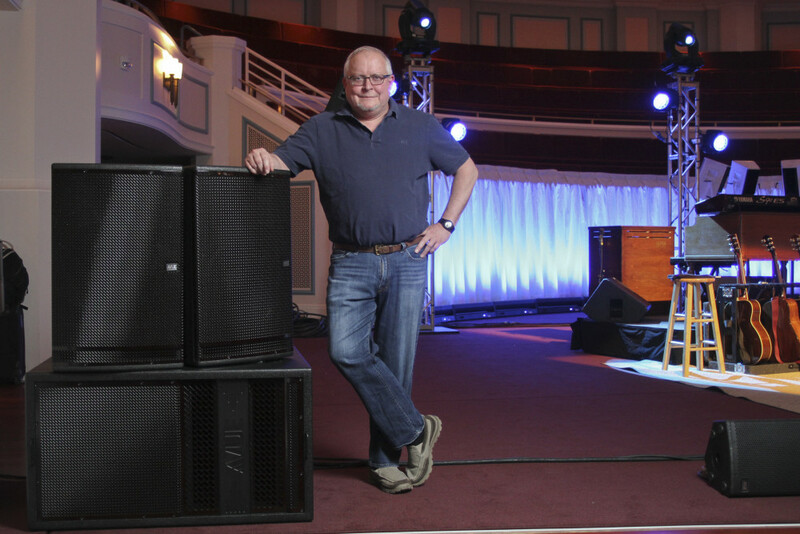 Johnson deploys full-range, self-powered stacks from the VUE h-Class line on both corners of the stage. An h-15W (wide dispersion) and h-15N (narrow) are paired together, with the latter cross-firing toward the middle of the front rows. Beneath them sits one VUE hs-28 subwoofer with dual 18-inch drivers, deployed horizontally.